The Anne Arundel Soil Conservation District plays a role in the prevention of erosion and sediment during construction activity. The District partners with Anne Arundel County officials to ensure that developers plan and apply established sediment control practices to manage runoff and the control of soil erosion during construction. Small pond approval for ponds in Anne Arundel County and the City of Annapolis. 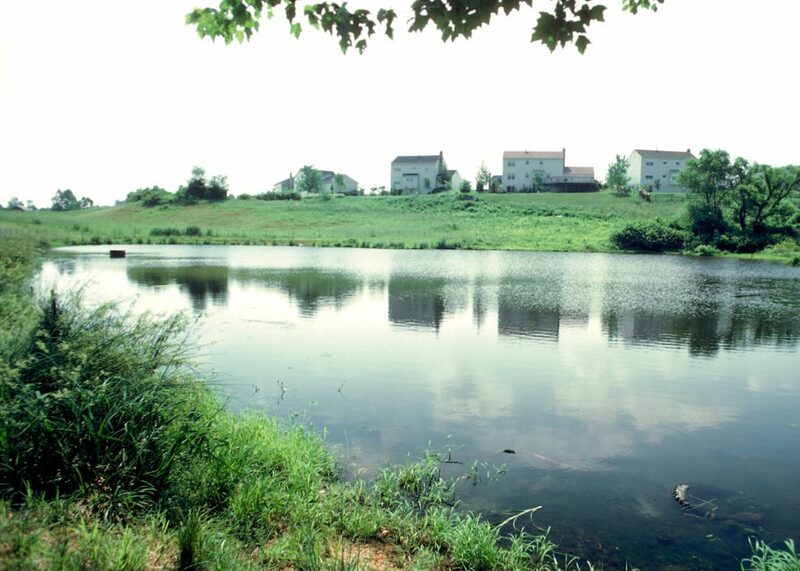 Pond design must adhere to USDA, NRCS, MD-378. All submittals must be made directly to the Permit Center (PC). When plans are submitted to the PC, four sets of these plans along with a cover letter, the Engineer’s Transmittal Letter and a copy of our checklist must be marked for AASCD. If comments are generated, the design professional will be notified to pick up marked plans and the “R” for “review” will be changed to a “P” for “pending” in the County’s Permit Status. Once the design professional has received and addressed all agencies’ comments, the resubmitted packages must be sent back through PC with four sets of revised plans marked for AASCD. Please note that the marked plans must be submitted directly back to AASCD. Once the plans have been approved by AASCD, a “C” for “conditional approval” is entered into the County’s Permit Status. AASCD will keep one approved set and forward three sets of plans to PC indicating AASCD’s approval on each set. The engineer should check the County’s Permit Status screen “click here”. Once all agencies have entered an “A” with the exception of Grading and AASCD’s approval is a “C”, the design professional can contact PC to pick up the approved set of plans. AASCD approval is valid for two years. Sediment and erosion control plan review and approval for projects located in Anne Arundel County, the City of Annapolis and State Highway projects within the Severn River watershed. All plans must adhere to the current Maryland Department of the Environment’s Standard and Specifications for Soil Erosion and Sediment Control (aka 2011 Specs). Notice: As of January 1, 2019 the Anne Arundel Soil Conservation District will accept a professional engineer, professional land surveyor or a licensed landscape architect signature on the consultant’s certification on sediment and erosion control plans in the Severn River Watershed. In accordance with Environment Article 5-503 any person planning to construct, repair or modify a dam or reservoir in Maryland must obtain a permit from the Maryland Department of Environment. The pond is not a wastewater stabilization pond. Plans must be submitted to the District for approval and prepared in accordance with MD 378: USDA Natural Resources Conservative Service (NRCS) Maryland Pond Code 378, January 2000. If the pond is being planned for stormwater management please refer to MDE Stormwater Design Manual. Ponds proposed in Use III, Natural Trout waters must include design features that mitigate thermal discharges. For stormwater management ponds in Use III watershed, please refer to the MDE Stormwater Design Manual. The Small Pond Review Criteria will also assist applicants and engineers in identifying the permit review agency. Standard Erosion and Sediment Control Plans for Forest Harvest Operations must be executive by a Maryland Licensed Forester. These plans are applicable for logging and timber removal operations that qualify for a grading permit for logging in accordance with Article 16 of the County Code or which cross any perennial or intermittent watercourse. Logging operations are limited to tree cutting at or above existing ground, leaving stumps, ground cover, and root mat intact. No stump removal, understory vegetation removal or conversion of woodlands to pasture will be allowed. No cuts or fills are allowed under this plan. Grades for roads and trails are less than 15 percent. Landings are located on slopes less than 10 percent. All disturbed areas are to be vegetatively stabilized. If the above conditions or any other criteria of this plan cannot be met, a plan modification listing controls necessary to prevent erosion and ensure site stabilization will have to be prepared by a Maryland licensed forester and/or a registered professional engineer and submitted along with this plan to the local Soil Conservation District for approval.